The Innovation Studio provides a space to support the development of unique interactive digital media projects, platforms, tools and approaches to storytelling designed to foster strong, resilient creative communities. We think in systems, build replicable models, and take risks with new technology. Our teams are diverse, intergenerational and collaborative. Strategy, design, development, and prototyping in the Alliance Innovation Studio is customized uniquely for each project. We bring together a team of creative and tech experts based on the needs of the project; the central requirement for inclusion in the Innovation Studio is a commitment to sharing out the development process with the field and making the project available for replication in diverse communities and contexts. In every case, we will publish the code, share the data and provide templates or toolkits to enable meaningful and effective adoption. “I dream of a reality where technology senses what we see, touch and feel; a reality where technology no longer gets in our way, but instead embraces who we are. The Colored Girls Museum honors the history, experiences, creativity and resilience of Colored Girls. It is the first institution of its kind to consider memoir, in any form, as well as objects of personal and historic significance, as evidence — with empirical value. It is located in the Germantown neighborhood of Philadelphia, Pennsylvania. 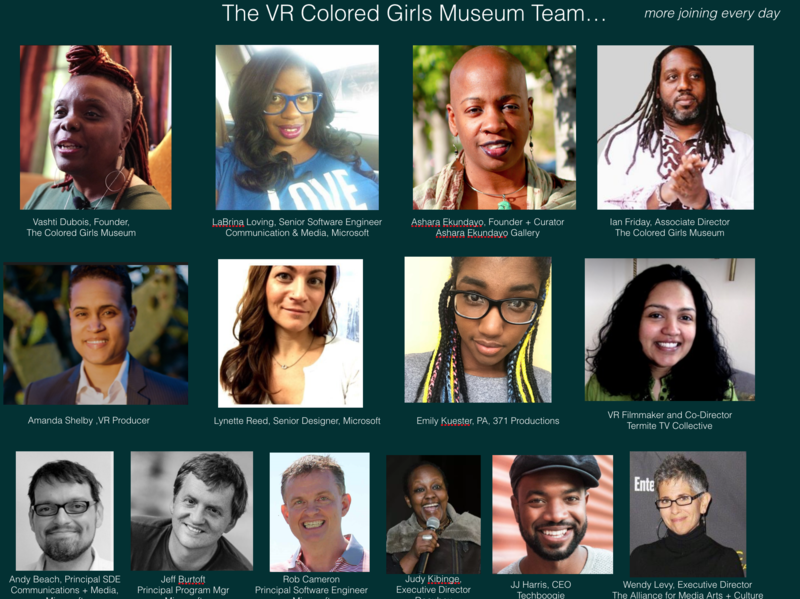 The Alliance for Media Arts + Culture has partnered with the Museum, Microsoft, and 371 Productions to conceive and build the VR Colored Girl Museum. It will be equal parts exhibition space, culture center, research facility, gathering place and think tank. The goal of the project is to co-create an immersive museum experience in virtual reality — in the browser. Combining photogrammetry, archiving, oral history and the latest webVR technologies, we intend to create an exact replica of the museum in Germantown that will be accessible to audiences around the world. We will also build out meeting spaces for arts and culture groups, a theater for film screenings and live performance, and a museum gift shop where artists can sell their work. We will offer a schedule of tours for school groups and nonprofit organizations, sample lesson plans and maker toolkits. The Museum will be designed and developed by diverse, intergenerational creative teams around the world. This is next generation, culturally transformative arts engagement — for everyone. The current technology plan for the VR Colored Girls Museum leverages ReactVR, A-Frame and other tools like Hubs by Mozilla, to enable social experiences and creative collaboration in an open-source XR environment. 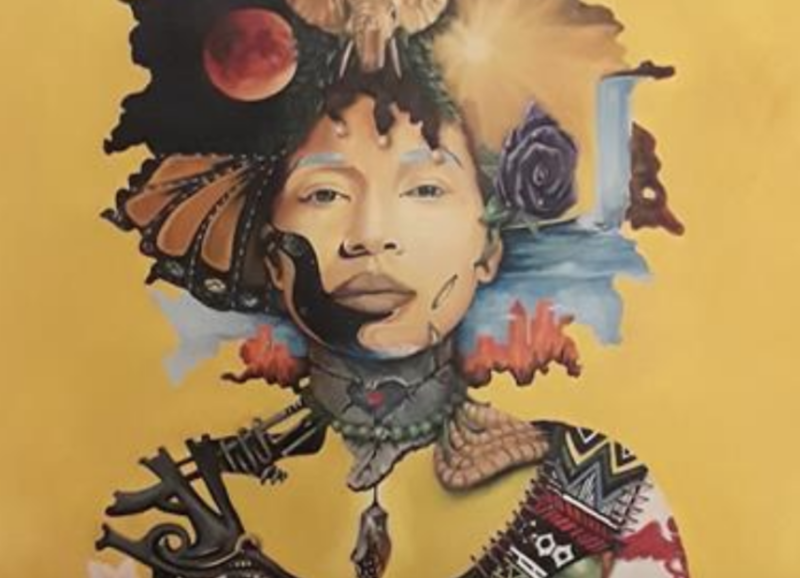 We are building a hosted space where teams of diverse, intergenerational artists, creative technologists and developers from US, India, Africa, Latin America and the Middle East will be able to collaborate, and the notion of tech that “embraces who we are” reflects the authentic experience and powerful voice of the colored girl. We are creating protocols, workflows and UX design for a photo-real interactive XR-powered museum in the browser that can add new technologies as they are developed Throughout the process, we will be writing, curating and sharing model curricula so young developers, designers and creative technologists can work through online lessons and receive mentorship throughout the arc of the project. Related to the immersive VR Museum project in the browser, we will also be producing The Skin I Own, directed by Amanda Shelby. The Skin I Own will be a short VR film, a volumetric journey where VR technology is rendered as ethnopoetry; the beat of the music, the geography of the viewer’s body, the architecture of the virtual space, and the voices of black women guide visitors through the garden, into the museum, on to the porch, through the door and into the front room, where we, the viewers, are among the paintings and objects, seeing our reflections and entering their worlds. In the light of the collective realness of black women, in full view of scars that have healed, and the pain still carried on her shoulders, The Skin I Own also enables viewers to acknowledge their own fears of being unseen, and unheard. The goal is a creative, communal and emotional experience — centered through the stories, and grounded by the voices, of ordinary/extraordinary black women. The Alliance for Media Arts + Culture has teamed up with Microsoft to build a very smart digital library of independent film, video and photography. It’s called FRED. FRED means “peace” in Scandinavian languages. And it’s a very cute name. FRED promotes peace by connecting people through the power of story. It is a new tool that puts AI and machine learning technology to use for the preservation and innovation of global culture, stories and humanity. FRED provides access to vaults of previously inaccessible or little-used archives, independent film and video, and orphaned public media works. FRED can also create access to unseen footage from “cutting room floors” that could be incredibly valuable in a new context. FRED can help us re-ignite interest in the histories that are not taught in school. FRED can empower us to illuminate the stories often excluded from “dominant narratives.” FRED can rise up unknown, lost and forgotten content to inform our work, our learning and our lives. We need FRED to help us envision and narrate our desired futures. ● FRED ingests as much contributed, archived and public domain footage as is humanly possible to curate — in full collaboration with rights holders. ● FRED automatically indexes the footage so it is searchable by a diverse and exciting set of metadata: place, time, sentiment + emotion, gesture, person, utterance, and more. ● FRED can translate audio into subtitles in 14 languages at the present time, and can deliver them to streaming content. ● FRED can protect the visual identity of people, per request of rights holder. ● FRED automatically returns clips and information based on the specified search criteria (i.e.’ Archbishop Desmond Tutu laughing in New York between 1975 and 1980’, or ‘Sound bites about LGBT hate crimes’). Watching is free. ● Members of FRED can pay to license specific clips for use in new works or for educational or exhibition purposes – per agreement of the rights holder. FRED connects you to the rights holder and processes your payment once approved. Imagine if FRED was embedded in film editing software, enabling automatic rich media searches for exactly what you are looking for, when you need it. Then imagine if you could call on FRED in academic libraries and research labs, social media networks, online learning environments, or activism trainings. FRED will exist through multiple interfaces, allowing users to quickly and easily interact with a wealth of media. FRED is a soulful new machine – a new media library of the future — that will help humans have access to the richness that is our global media culture. To expose injustice, to uncover secrets, to illuminate the undiscovered, to honor the past, to empower those whose stories must still be told. 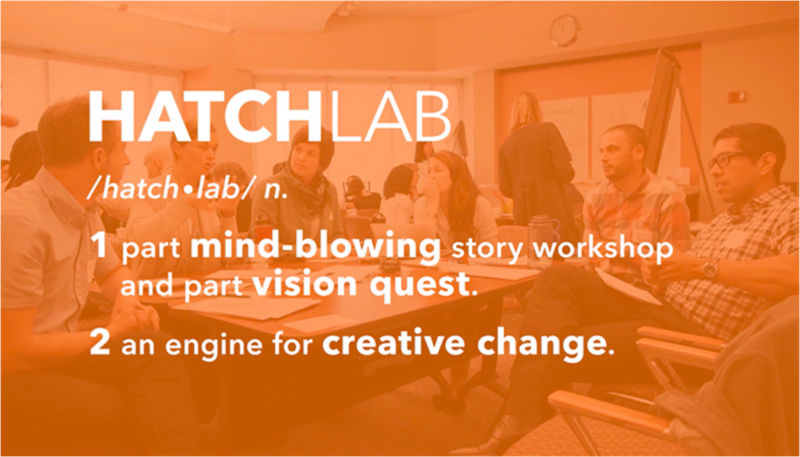 A HatchLab is a new kind of global storytelling workshop. Designed to build creative strategy muscles for filmmakers and nonprofit organizations, HatchLabs facilitate collaborations between artists, movement leaders, scientists/technologists, civic leaders, policy makers and communities. HatchLabs offer new tools and opportunities for the voices of those traditionally marginalized to be a central part of creative ideation and social reform. HatchLab participants gather for a single day, from 9AM – 5PM, joining a team of award-winning artist/mentors to explore inclusive, collaborative, and responsive storytelling models, build deeper connections as a creative community, and activate new narratives designed to embolden and sustain vulnerable communities. After a HatchLab, the collaborative projects that emerge from the workshop are eligible for funding and mentorship throughout the year. We feel an urgency to move beyond tired Hollywood tropes, appropriation and apocalyptic messaging to support co-created films and videos, community-based artist residencies, interactive projects and innovative technologies that honor and amplify the voices, wisdom and lived experience of the people whose stories are told. To see a video of the 2016 HatchLabs click here. The Stories of Strawberry Mansion is a collaboration between local art collective Amber Art & Design, with Fairmount Park Conservancy and The New Community Project. Through a process they call Story Exchange, the community-based artists are collecting stories from local residents, and sharing with each participant the story of one of their neighbors. They will host bi-monthly events and community dinners that will feature live storytelling, facilitating deeper connections in the neighborhood and building towards collective decision-making about how to spend the resources being allocated for local schools, parks and programs. 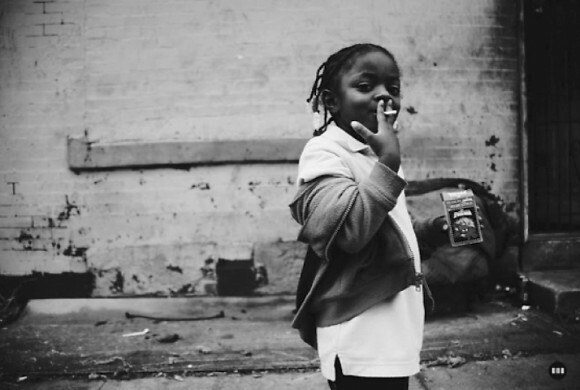 The hope is to redefine and rewrite the relationships between the neighborhood and its institutions, creating a new support network based on participation, trust and collective voices. As Philadelphia affirms its status as a sanctuary city committed to the safety of its immigrant residents, opportunities for those targeted communities to be heard and share their points of view are more needed than ever. 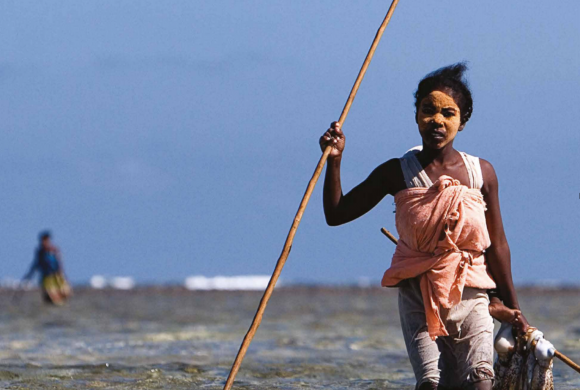 Access to multilingual media content and training is a way that communities can tell their stories through their own means — promoting understanding and respect through cultural exchange. PhillyCAM’s Atrévete producers together with a diverse group of local immigrant artists will learn how to use 360 filmmaking to share their stories of migration in new, immersive ways. Audiences will interact with the work online and at live events. The narrative will explore a physical environment while interweaving elements of memory, dreams, aspirations, and struggle. PhillyCAM and Brookline Interactive Group want to use this project as a way to go beyond headlines to create intimate portraits of those most affected by the current administration’s position on immigration; from the story of a single dreamer facing possible deportation to a migration story that spans 3 generations. This project presents an opportunity for PhillyCAM to become a local leader in 360 storytelling to support others working in the non-profit and social enterprise field. They hope to create a template for a strong immersive news/content sharing network, engaged communities, training programs, and collaborative, community-based VR projects. Nic will write about his concept of “native gentrification,” a modern-day example of W.E.B DuBois’ “double-consciousness theory.” Within the context of life in New Orleans, Nic is raising compelling questions about the complications of the African-American experience of gentrification and the layers of identity narratives emerging in popular culture. Imani is pursuing an ongoing exploration of the meaning of truth in an age of fake news, alternative facts, and the resurgence of global fascism. This project brings to light a series of kaleidoscope conversations and interviews where participants share personal and social mythologies about truth, prejudice and politics. How might posing questions without answers reveal our deepest divides — and give us the visual language to heal? The ALLIANCE Innovation Studio provides a space to support the development of unique interactive digital media projects and other story-driven open source social justice tools and technologies that are designed to serve the field and foster new creative experiences and social impact in communities around the world. Strategy, design, development, and prototyping in The ALLIANCE Innovation Studio is customized and unique to each project. We bring together a team of creative and tech experts based on the needs of the project; the central requirement for inclusion in the Innovation Studio is a commitment to sharing out the development process with the the field and making the the project available for replication in diverse communities and contexts. We’re talking about publishing the code, sharing data and providing templates or toolkits for meaningful and effective adoption. FOOTPRINT is an experience of the Refinery Corridor Healing Walks, led by Native American grandmothers (Idle No More SF Bay) who live downwind from the Chevron Oil refinery in Richmond, California. 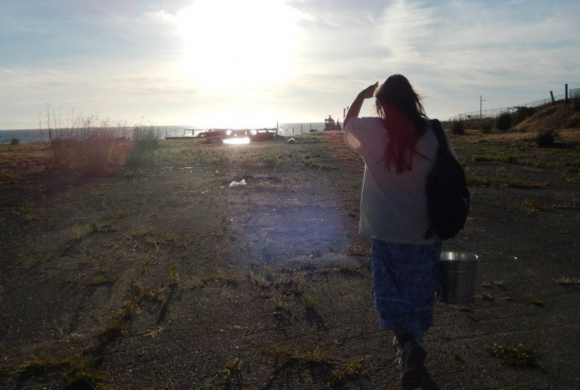 After the Chevron explosion of 2012 poisoned their air, they turned to an ancient tradition of healing walks along the oil refineries of the Northeast SF Bay, rallying local communities to reclaim their land and water. We will create a Projection Map of the walk (to project on the side of the UN?) with surround sound installation of the chants/songs and environmental audioscapes of the walk, an immersive experience contrasting the natural world with modern oil industry. Through voices and images of the Walkers we join in their prayer and song for healing, and participate in reclaiming the land. The Map will guide us in to an exhibit that will include photos of these Healing Walk leaders (power of matriarchy) with mini-docs activated via augmented reality that will share personal narratives of the grandmothers. Next year is the fourth and final series of Refinery Healing Walks; this is the last chance to document this transformative event. 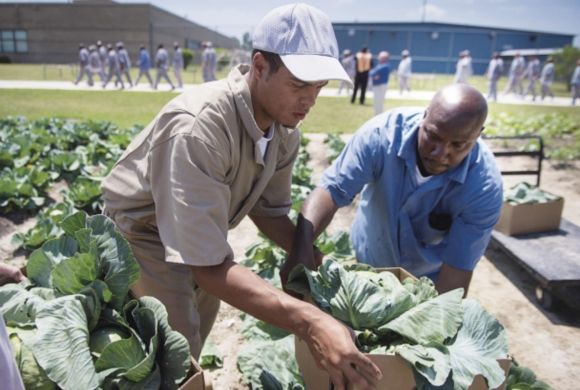 The vision for this project is to bring the audience into San Quentin Prison, where the Insight Garden Program transforms prisoners’ lives through reconnection to “self, community and the natural world". We will create a participatory documentary highlighting the prisoners’ active work in the planting, growing and harvesting stages of vegetable and flower gardens as well as the journey of self-discovery, along with the raising of environmental awareness, “inner gardening” mindfulness, and global climate issues. The film will be part of a forum that brings the target audiences together with environmental leaders and incarcerated participants -- sharing experiences and passion for environmental stewardship. Collaborative filmmaking practice will underscore deep work exploring the impacts of global climate change on low-income and underserved communities, the healing effects of working with nature, the importance of “green jobs for all,” and the impact Insight Garden Program has had on shifting lives and “greening” prison cultures. This project tells the story of a grassroots community taking control of its natural resources in a changing environment. Using an intensive participatory approach, community members in Tanzania (through partner organization Mwambao) will be trained in all aspects of short film production. These videographers will be actively working with communities to document their stories, monitoring action and changes in the marine environment during a time of unprecedented challenges. We hope to use the Ricoh Theta as part of this process to capture 360° footage of the community, and have sourced an underwater housing which will allow some unique and immersive footage to be created as part of this project − helping engage communities in the tangible benefits of conservation − above and below the water. 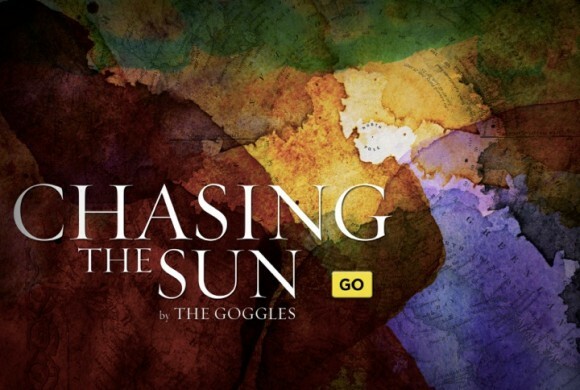 Part film, part book, part something new, Chasing the Sun is an immersive online story about the Arctic, told in a compelling first person narrative that makes the North’s current and coming struggles more vital and relatable. 222 Forgotten Cities is a photo series aimed at visually dissolving the disconnect between the popular, media-informed perception of a city and the reality of the people who live there. 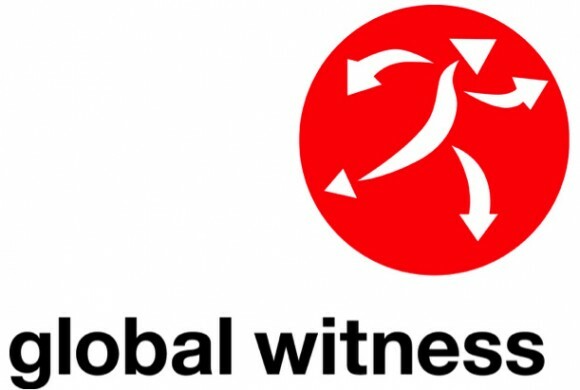 In the Innovation Studio, Global Witness will produce a blueprint for leveraging emerging technologies, interactive online storytelling and web-based mapmaking. This interactive effort will be an online portal that facilitates a transformative “megalogue” between a critical mass of child brides around the world. 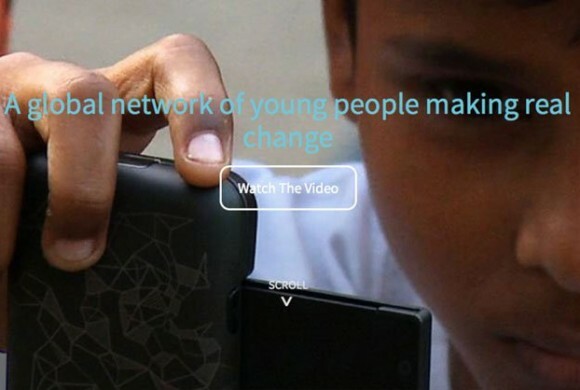 Map Your World is an open source data/mapping/storytelling platform that empowers youth around the world to make positive changes in their own communities.